Social purpose drives profit. For a business to flourish in today’s market, it cannot be seen to harm society or the environment. Rather, today’s success stories focus on innovation, employee development and capital expenditure that delivers positive societal impact. This shift in priorities from profit to social values has been happening gradually over the past few decades, but has picked up speed in an age of social media and heightened public scrutiny. Where sustainable practices were once a ‘nice to have’, they are now proving valuable routes to growth and profit. Professor Hugh Wilson is director of the Cranfield Management and Corporate Sustainability MSc, a one-year specialised master’s degree which advocates this very approach. He said: “The brands with strong purpose-based positioning outperform the brands that don’t. Sustainability expands the profit pools in which you can play. Look at energy companies: generating power has small margins, whether from renewables or carbon sources, but by positioning yourself in the renewable category there’s a route to growth. 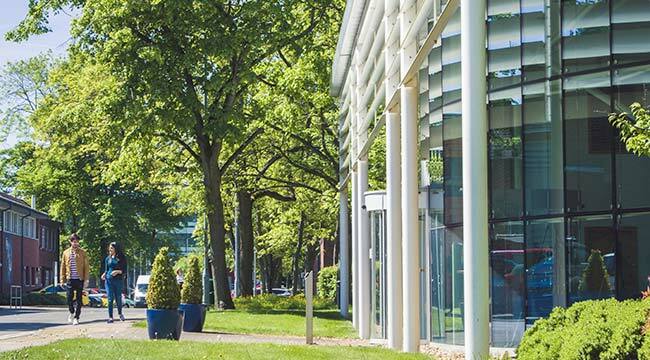 Cranfield’s Management and Corporate Sustainability MSc uses a mixture of practical experiences and masterclasses from experts in the field to give students an insight into sustainability in practice. While there is desire to be sustainable across industries, where businesses sometimes fall down is in the practicalities of adapting, which can be complex and can throw up obstacles. By combining the sustainability specialisation with high-level management education (the course shares modules with Cranfield’s Management MSc), Cranfield’s course aims to equip students with the mixture of skills they need to drive the change agenda. Focusing on delivering social purpose rather than profit coined the phrase ‘triple bottom line’, a term made famous by John Elkington, a world authority on corporate responsibility and sustainable development and a visiting professor at Cranfield. He suggests that only by considering three factors – economic, social and environmental – can a company take full account of the cost of doing business. Ricardo Weigend completed the Cranfield Management and Corporate Sustainability MSc and now works in Mexico as a circular economy business developer at Nobel Environment Technologies, a recycling technologies developer. He said: “I’ve been able to put in practice, with passion and hard work, how to approach our job every day in a responsible manner; economically, socially and environmentally. Cranfield gave me the right skills to implement corporate sustainability principles into my work and push the agenda of corporate sustainability. The course gave me the technical capabilities, but also the right managerial skills to implement across different fields. I went straight from graduating to working, bringing the freshest sustainability ideas to business and putting them into practice.